Rajasthan is colourful state. 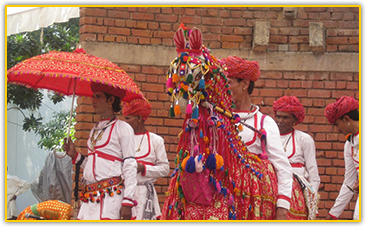 Traditional, folk and cultural dances are main attractions of the state. 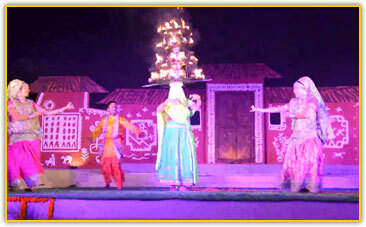 Expert dancers perform the dances to show their skill & glimpse of Rajasthan. These dances mesmerise you. Special shows are organised in every cultural activity & function. Punjab is state of various festivals and functions. 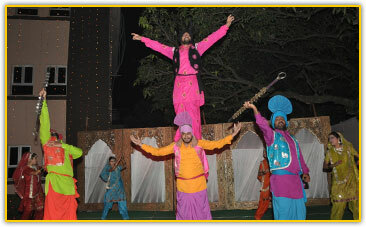 various famous dances of punjab are performed in group and can be organised during marriage, cultural events and stage show. Dhol is their special instrument which is fit for any dance of punjab. 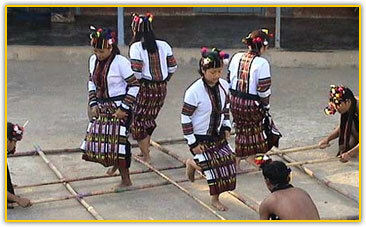 Various dances like cheraw, khullam are not only famous in Mizoram but also in all over India. Pushpanjli organsies these mizoram dances which are performed by expert dancers at various stage show, cultural events etc. Maharashtra is another state where various local and famous dances are performed by people of maharastra at various special occasions. famous dances are Tamasha, lavani and didi are trade mark of the state. We organised these dances at various stage, functions and cultural activity. 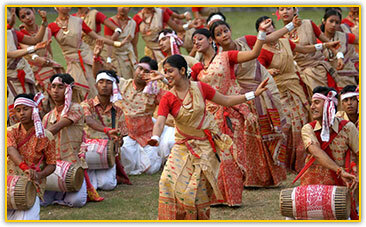 Assam is known for its famous bihu dance. It is performed in group with lyrics and rhythum. These dances represent the rich cultural of Assam. dancers keep alive this trend & culture. Pushpanjali organises some of the famous dances of assam during stage shows and event management. 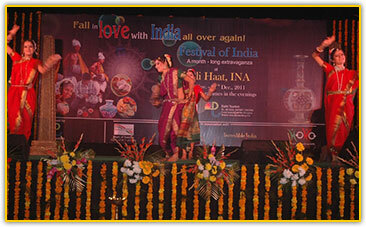 Gujarat is state of india where various dances are performed at various special occasions. Like famous dandiya is performed during navratras functions. Where group of people dance and perform in rhythum. Part of eastern India. Manipur is famous for its unique tradional dances. These dances are are very charming & smooth in rhythum. Stiry is told in the form of dance. Chau and manipuri dances is very famous in any event. Haryana is in north india. Here traditional culture & villages are very strong and people have very much faith in it. Same thing is with dances & even with folk song. 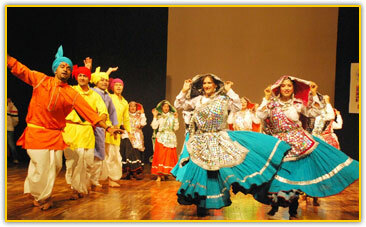 Some of famous dances which are mostly performed during cultural events, stage show or any functions are traditional folk dances like swang, phag and dhamal. Where famous artist perform them. These dances mesmerise you. Uttar pradesh is situated in north India. Uttar pradesh is famous for Ram lila, Ras lila and holi specially. Charkula dance is very famous in uttar pradesh where dancers, dances by keeping series of disc on their head with divyas are lighting in it. 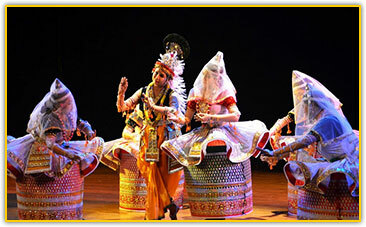 Uttar pradesh is also famous for kathak dance ( a classical dance ) of Lucknow grarana. We organises all these dances and other less famous one dances also. This dance form traces its origins to the nomadic bards of ancient northern India known as Kathakaris, or story tellers. Bharata Natyam dance has been handed down through the centuries by dance teachers (or gurus) called nattuwanars. We provide our services in marriage functions, like choreography, folk dances, and cultural prog for a wedding event. 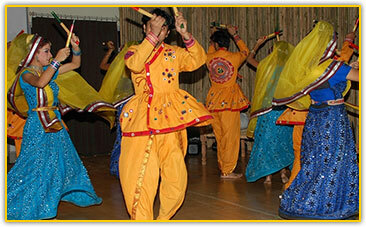 Pushpanjali provides a western dances also for an events. We have Salsa, belly dances etc.